March is my favorite month. My birthday is in March and the weather always seems to turn so nice once March arrives. This week the temperature has been in the low 80s and it has been wonderful. 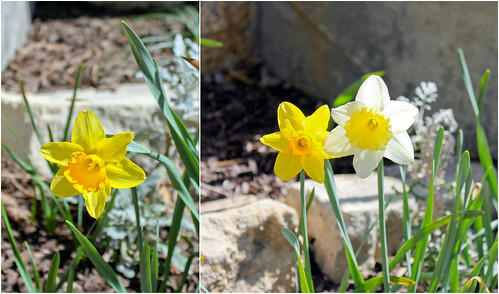 Flowers are in full bloom and I am finding any excuse possible to be outside. Other than my birthday and the nice weather there are also a few fun “holidays” in March: Pi Day (on 3/14) and St.Patrick’s Day. Although Pi day might not seem to be that big of a deal, any excuse to make a pie is fine with me. 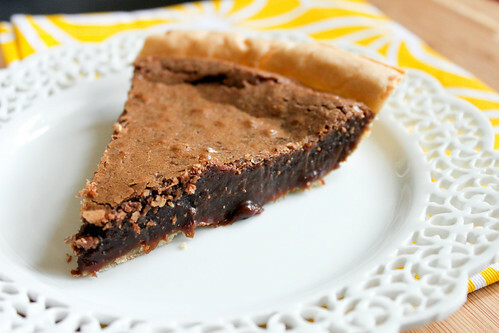 I actually made two pies in honor of Pi Day, a chocolate meringue pie and this fudge pie. I have been wanting to share this fudge pie for awhile and thought Pi day would be the perfect opportunity. 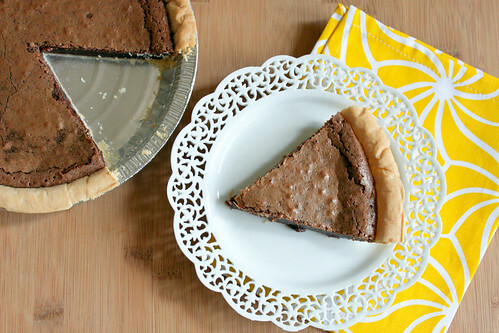 This fudge pie is one of my favorite desserts. It is so simple to make and takes little effort. I first learned of this pie from Russell’s family. When we first began dating all I heard about was this wonderful fudge pie but it took several years for me to actually have the opportunity to try it for myself. At the first bite I was sold. Chocolately, fudgey---perfect! Everywhere we have moved I have had to adjust the baking time since ovens can vary. I prefer mine to have more of a fudgey texture so I bake my pie for about 20 minutes. If you prefer more of a brownie texture bake it a little longer. This is seriously a no-fuss pie. I keep frozen pie shells in the freezer specifically for this recipe. Quick, simple, and taste great--you really can’t go wrong with that combination! Preheat oven to 350 degrees F. Remove frozen pie shell from the freezer. Once butter has melted, stir in sugar, flour, and cocoa powder. Once ingredients have been combined, remove from heat. Whisk in eggs until fully incorporated. Pour pie filling in the pie shell. Bake for 19-20 minutes (longer if you would prefer more of a brownie texture than a fudge texture). Remove from oven and allow to cool on a wire rack. Serve warm or chilled.